"What Anita Radini noticed under the microscope was the blue—a brilliant blue that seemed so unnatural, so out of place in the 1,000-year-old dental tartar she was gently dissolving in weak acid." "It was ultramarine, she would later learn, a pigment that a millennium ago could only have come from lapis lazuli originating in a single region of Afghanistan. This blue was once worth its weight in gold. It was used, most notably, to give the Virgin Mary’s robes their striking color in centuries of artwork. 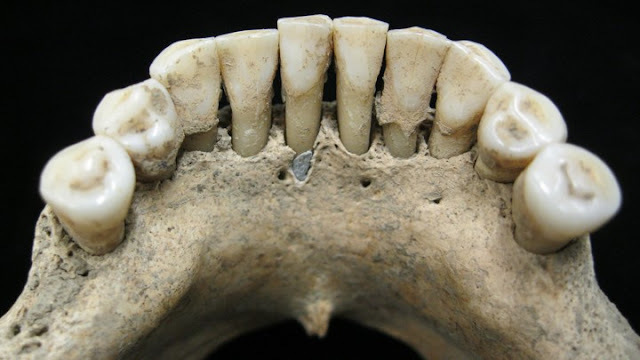 And the teeth that were embedded with this blue likely belonged to a scribe or painter of medieval manuscripts." Yes, a woman, worked as a scribe, as an artist on manuscripts or icons, with the most expensive pigment ever, lapis lazuli. 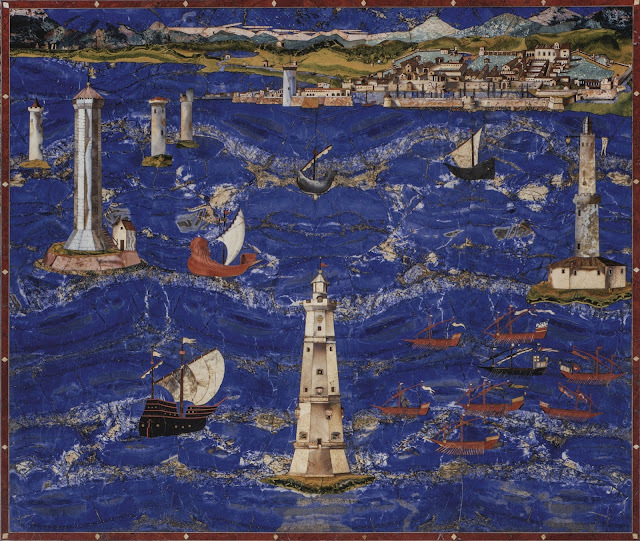 “A noble color, beautiful, the most perfect of all colors,” Cennino Cennini said of ultramarine, the pigment made from powdered lapis lazuli, in his “Book of the Arts,” written around 1400. Until the late 18th century the only source of lapis lazuli in Europe, Asia and Africa was the remote Sar-e-Sang valley in the Badakhshan mountains in northeast Afghanistan, where it has been mined for more than six millennia. And woe betide the guy who suggested that this long deceased woman must have been the cleaning lady. Come on, women lick their brushes just as good as men. "But art experts were still skeptical. Some dismissed the idea that a woman could have been a painter skilled enough to work with ultramarine. One suggested to Warinner that this woman came into contact with ultramarine because she was simply the cleaning lady."